Having a projector opens up so many options if you’re looking for a big screen experience to enjoy your movies and games and great place to start is with the BenQ W1210ST full high definition projector. Whether you want to set up a home theatre for the first time or plug in a projector on the coffee table at the spur of the moment, the BenQ W1210ST can suit both use cases. This is helped by the fact the projector is really easy to set up and it offers great quality and value. The W1210ST has a 1920 x 1080 full high definition resolution with its DLP projection system with a lamp that can run for up to 7000 hours before you need to change it – that’s a hell of a lot of movies and gameplay. 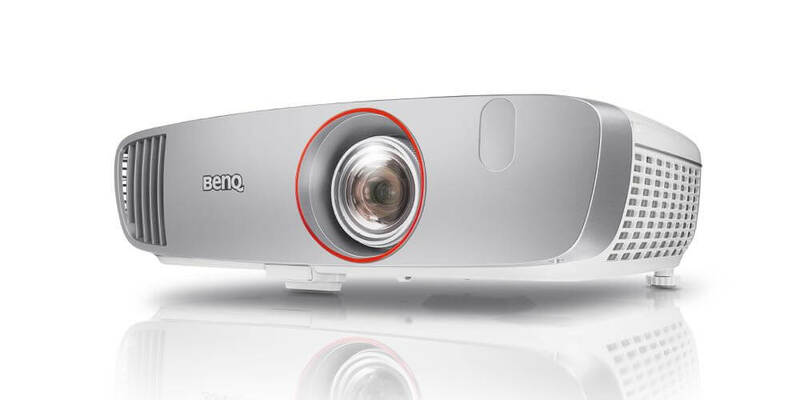 Gamers will also love this projector thanks to some specialty features BenQ has included. 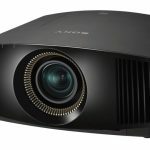 It has a brightness of 2200 ANSI lumens and a 15,000:1 contrast ratio and can project an image up to 300-inches in size. With the trend to towards bigger TVs gaining momentum, the BenQ projectors offers a way to go big without breaking the bank. It’s priced at just $1,499. One thing you won’t get with the BenQ projector that you will get with a larger TV is 4K resolution and HDR (high dynamic range). 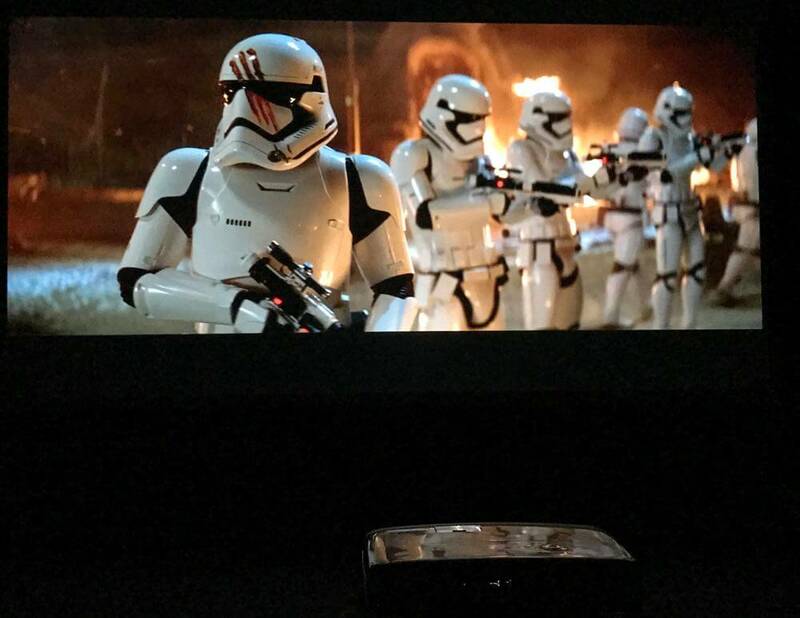 If you want a 4K HDR projector – that’s a whole new proposition altogether and it would cost a whole lot more. But the quality of the W1210ST is plain to see – it will surprise you. Under the hood is a colour wheel running at 6x speed so you get true-to-life images without the rainbow effect and without visible pixels like you’re looking through a screen door. It also has independent colour control for six primary colours to get the right saturation and hue. The unit itself is 38cm wide, 27.7cm long and 12.2cm tall. 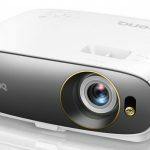 BenQ’s W1210ST is a short throw projector which means it doesn’t need to be positioned all the way at the back of the room. If you want a 300-inch screen – and you’ve got the space for it – you will have to position the projector way, way back. But for most viewers a 100-inch picture is big enough for the room and the BenQ W1210ST only has to sit 1.5m away from the screen – or just a plain wall – to achieve this image size. There is a simple zoom and focus feature on the lens that will have you up and running in no time. 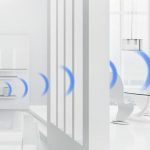 Once you’re plugged in and ready to go, there is a simple set-up interface that takes you through the installation process and asks you how the unit is positioned – on a table or mounted on the ceiling. 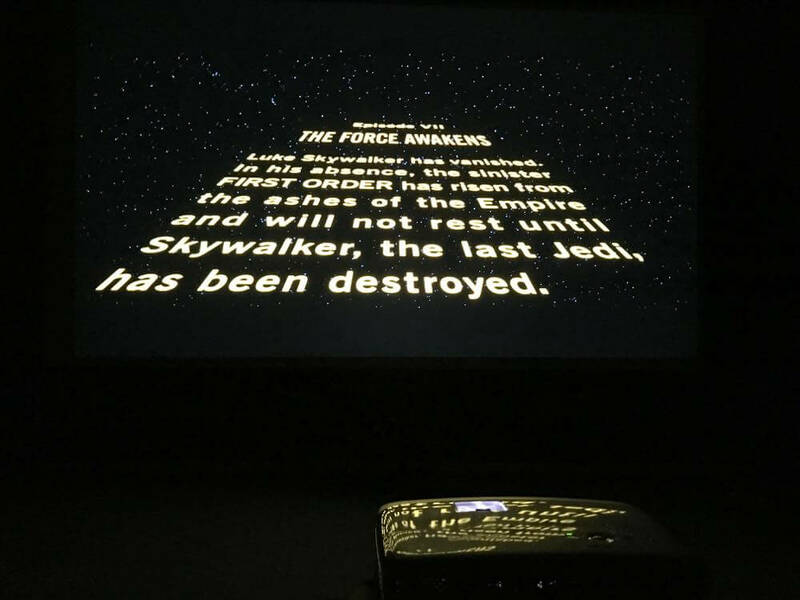 For our review, we hooked up the projector to a Blu-ray Disc player on a table and aimed it at a 150-inch screen. The projector was only 2.2m away from the screen. On the rear panel there are two HDMI inputs as well as USB and audio in and out connections. 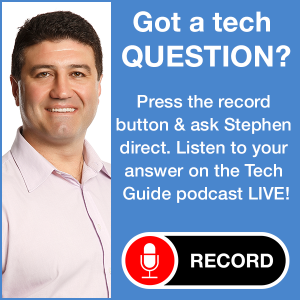 You can also connect set-top box, Foxtel box or a gaming console. 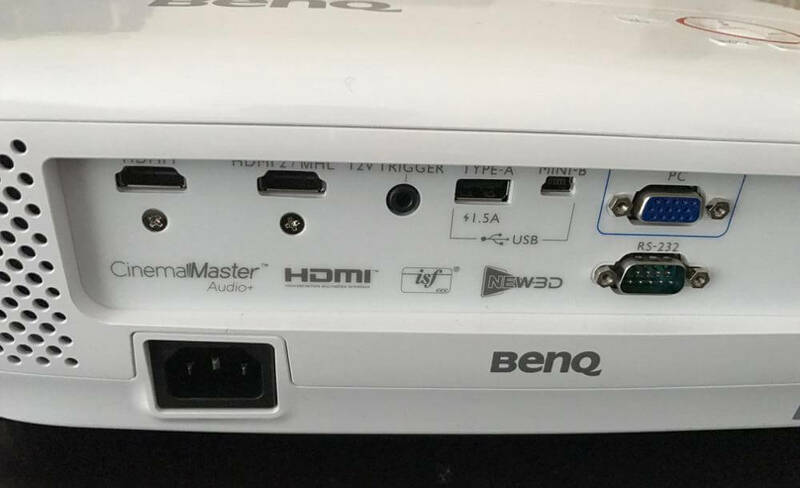 One thing to note at this point is that the BenQ W1210ST projector has two 10W speakers to provide stereo sound for your movie or game. For casual use, the sound is acceptable but you’re not going to get a surround sound experience of a dedicated system. If you do have sound system, the BenQ projector can be hooked into a surround sound speaker system. Having that built-in speaker is handy especially if you want to set up the projector each time you want to use it or want to take it to a friend’s house to watch a movie or play a game. You know you’ve got sound even if you don’t connect it to a speaker system. It comes with a handy carry case as well which makes it easy to store and carry around if it’s not permanently set up. So, what’s the picture quality like? We were pleasantly surprised at the colour and the crispness of the images. It wasn’t that long ago when this sort of quality would have set you back five figures. 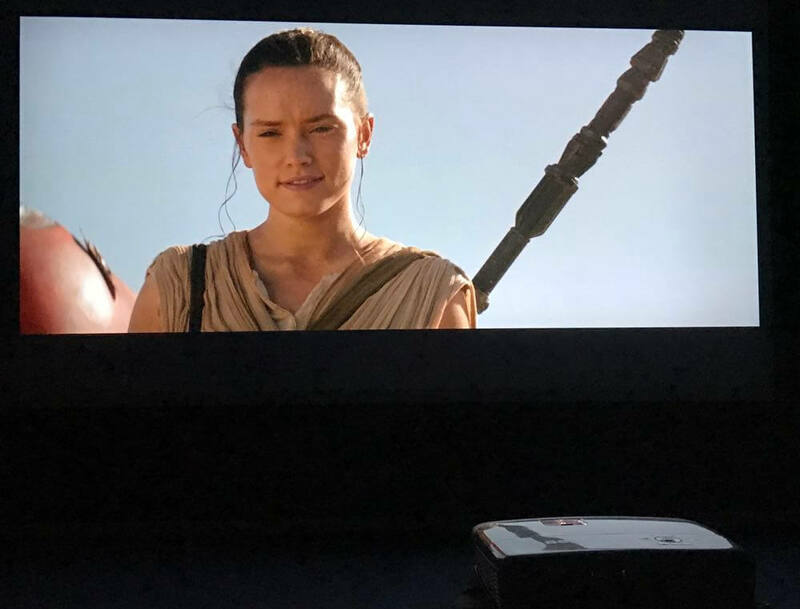 We watched a few movies we knew quite well including Star Wars: The Force Awakens and the colour and contrast was most impressive. The black levels were also above average as well. Black is a hard colour for a projector to produce but the BenQ unit had no trouble. There was even enough definition to distinguish detail with these dark areas of the screen. But gamers will love the BenQ W1210ST even more. One drawback when playing games through a projector is the lag. That split second longer it takes the signal to hit the screen can affect your experience and could mean the difference between winning and losing in an online game. 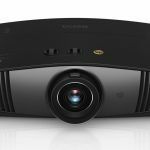 But BenQ has cleverly addressed this issue with the W1210ST – the world’s first home projector to come with low input lag. 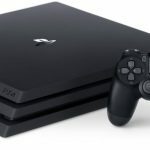 This means the responsiveness with the projector is virtually the same as you’d see if your console was connected to a regular TV. It has a dedicated Game Mode as well as a Game Bright Mode so players get a slightly brighter image to cope with the variation with light and shadows in the game without losing picture quality. 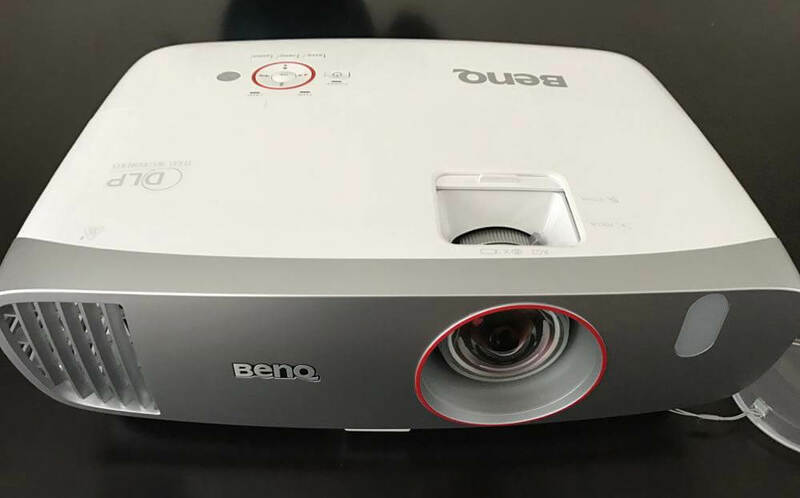 The BenQ W1210ST is a great value projector that truly punches above its weight to provide remarkable quality and an excellent experience whether you’re watching movies or playing games. PROS: Affordable, easy to set up, excellent quality for the price, portable, short throw distance, responsive for gamers. CONS: Built-in speakers only fair, no 4K or HDR. 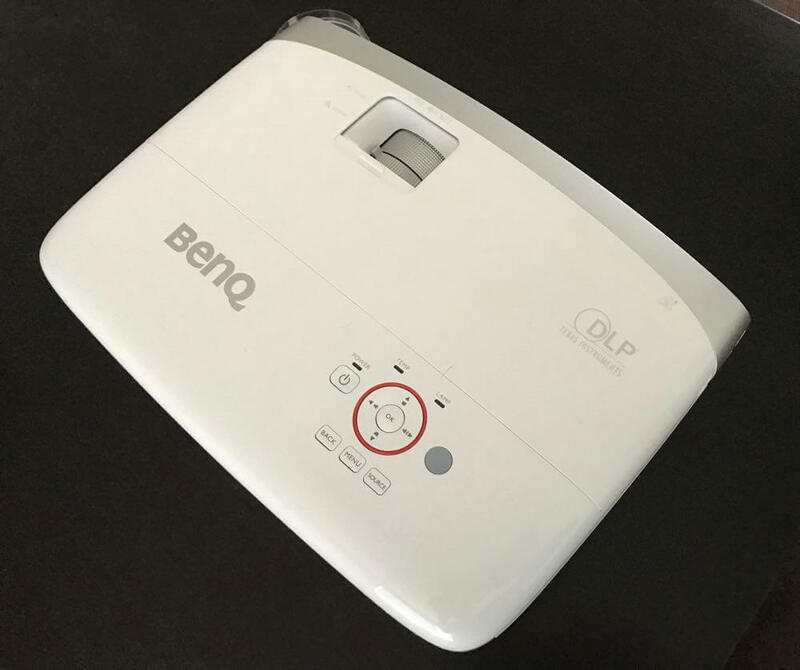 VERDICT: The BenQ W1210ST is a great value projector that truly punches above its weight to provide remarkable quality and an excellent experience whether you’re watching movies or playing games.